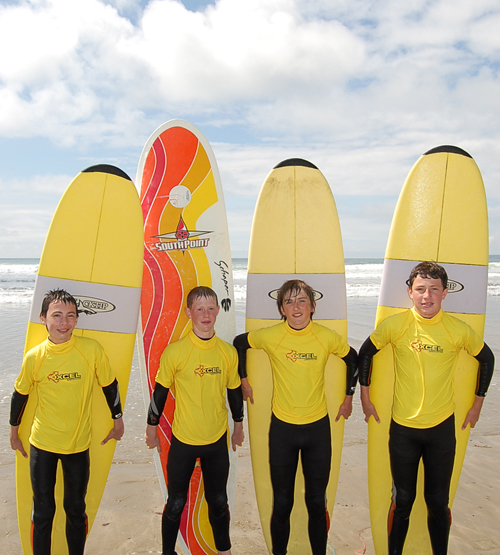 For 8 to 12 year olds kids we have "Young Guns Surf Camps". Re-vamped for 2018 this camp focuses on multi activity surf sports from Surfing, Body Boarding,Eco Tours and Beach Games based around surfing and Beach/water safety. We provide all specialist equipment and the welfare of your child is our number 1 priority throughout the camp. We operate off a policy of fair play and guidelines as laid out by the Irish Sports Council. Monday to Friday (From 10 am - 12pm) SOME TIMES MIGHT VARY WITH TIDES. eg. If you are booking two camps for one child two deposits are necessary.